In this fast paced modern world, we put our hair through a lot, especially in the summer when straighteners, dryers, chlorine and the sun all take their toll. But, as a woman, you want beautiful, thick and shiny hair all the time, so what can you do? Don’t fear! All is not lost and there are things you can do to restore your hair to all its former glory. Check out these fifteen essential hair care tips and get back on the road to long and healthy locks! The first thing you need to do is get a routine into place and stick to it. 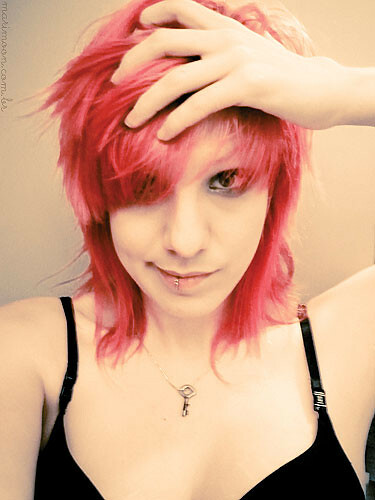 It’s best to wash your hair daily with frequent use shampoos or every two days or so. It’s important to choose a good quality shampoo, one that offers protection against the elements and helps with split ends and frizz. After washing you need to use a conditioner. A conditioner is important even if you have greasy hair. Make sure you cover all the hair from root to tip. If you have split or dry ends then concentrate on the tips, making sure they are covered and leave the conditioner on for at least five to ten minutes. You can wrap your head in a towel and continue with your evening schedule until it’s time to wash it out. Leave on conditioners are also really good, these allow your hair to dry with the conditioner still on, adding extra protection. One of the worst things you can do to your hair after washing is to brush it. Use your fingers to detangle it and let it dry before putting a brush through it. You can also use a wide tooth comb and just gently pull out any knots. Using a hot oil treatment every one or two weeks is wonderful for your hair. Not only will it help with de-tangling but it will also give your hair a deep moisturising treatment to keep it in excellent condition. There is nothing worse than waking up to frizz first thing in the morning, which is a common problem many women have. This is why the cunning amongst us use straighteners or wash our hair each morning followed by a hot hair dryer. Brush your hair before bed and ensure all knots are removed. You can then tie it in a loose ponytail which will help keep the hair straight from root to ponytail or you can put it into a loose braid. This will reduce the amount of frizzing your hair will suffer during the night; making it easier to manage the next morning. 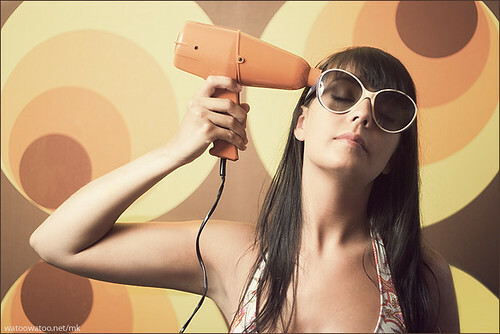 It is very tempting to brush your hair every time you leave the house and it’s no surprise: you want to look your best! Invest in a wide tooth comb; this will reduce the amount of damage done to your hair through brushing. 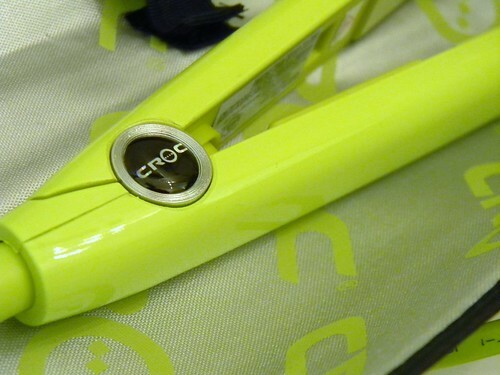 When you do decide to use straighteners and hairdryers, there are many products available on the market which you can rub into your hair prior to use to protect it from the heat. Always use products to help keep your hair strong at all times and this’ll really help to keep it healthy. Tying your hair up on a regular basis is going to cause it to break. Try and wear it loose as often as possible or if you must tie it up, try a loose pony tail or a braid, rather than tying it too tightly. Unfortunately hair breaks high up near the root when it’s pulled back tightly too often. Towel drying is another damaging thing you can do to your hair. After washing it’s tempting to throw a towel over it and rub to get the water out. The problem is the rubbing motion breaks the hair. Rather than this, wrap the hair in a good absorbent towel and allow the towel to absorb the water without any rubbing. Try washing and conditioning your hair at a time where you can allow it to dry naturally. Wrap it loosely in a towel until the excess water has been absorbed and then allow it to dry on its own, rather than turning to the hair dryer. Did you know after washing your hair, a simple rinse with cold water can help with the shine? Wash your hair as normal and then simple spray cold water over the hair to give it an all-natural sheen that you can be proud of. We are all tempted to add a few highlights during the summer or dye our hair regularly to hide the unwelcome greys which appear. 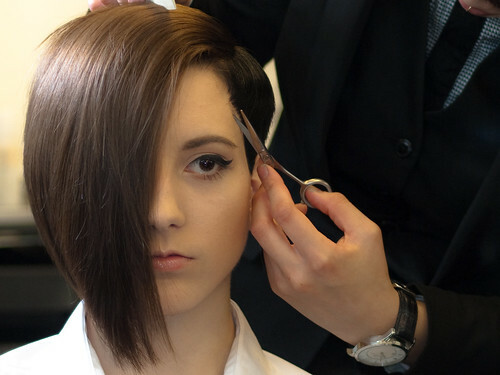 If you decide to do this, speak to your salon about how to do so without causing damage. There are specially formulated shampoos and conditioners for dyed hair, and using these can have a big impact. Many people choose home colouring kits for their hair; it’s an affordable way to make a bold statement. Sadly, though, these kits do come at a cost since you risk drying out and breaking your hair. Instead, spend the extra money and have it done professionally to reduce any serious damage to your hair. It doesn’t matter what type of hair you have using permanent perms and straighteners on your hair is going to damage it right into the root. Be sure you use a specially formulated shampoo and conditioner; also use a hot oil treatment at least once a week, giving your hair the moisture it desperately needs. Trimming your hair regularly will help to keep split ends at bay. 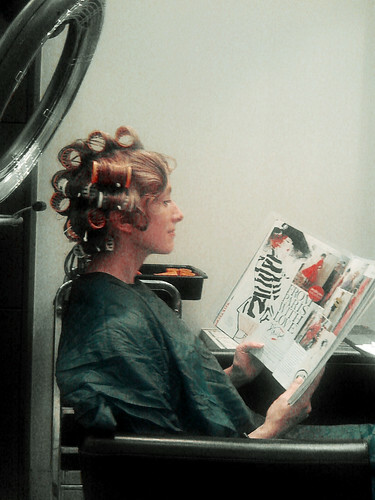 A trip to the salon every six weeks or so is considered the best option. For more hair care help, get great deals on GHD straighteners and more from www.FeelUnique.com. I have to try and remember to tie my hair back loosely, it’s been so hot lately it has to be up. I wore my hair back in a ponytail so much years ago that I am actually thinner at the temples because of it! I’ve put the hairdryer away for the summer and that’s helped! @twitter-215027062:disqus – I need to do this. My hair is so dry and frizzy, then add this humidity and well, I’m a hot mess. lol. I used to color my own hair. I;m letting it go natural now. @abbbe216c39df5d432816354d7b6cd2d:disqus – If it weren’t for my gray, I’d quit coloring mine. These are great hair tips and I’ve been trying to straighten my hair less often this summer to reduce heat damage.